When BB creams first hit the mainstream market a good few years ago now, I must admit I was initially a bit underwhelmed. Another foundation? I thought. Well, BB products have come a long way and I’ve definitely been converted to a fan of them in recent years. I love how quick and easy they are to apply, and the dewy glowing complexion they give you. They really do tick all the boxes for me. 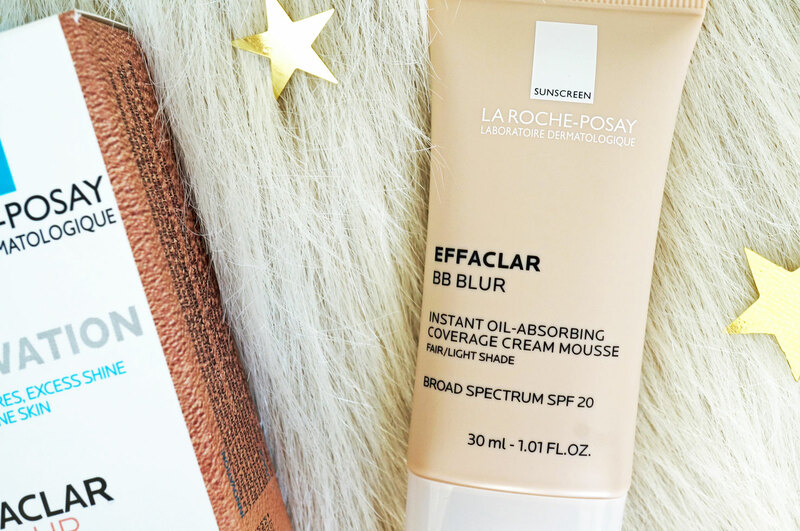 So this brings me to La Roche Posay’s latest offering to the world of BB creams – the Effaclar BB Blur Cream. This cream is specifically made for oily skin, it promises to control shine all day long – with Aircilium, a cutting-edge ingredient that forms a supple and resistant film over the skin to smoothe its surface whilst letting it breathe. This wonder ingredient is said to absorb three times its weight in oil, resulting in a matte velvet finish on the skin. 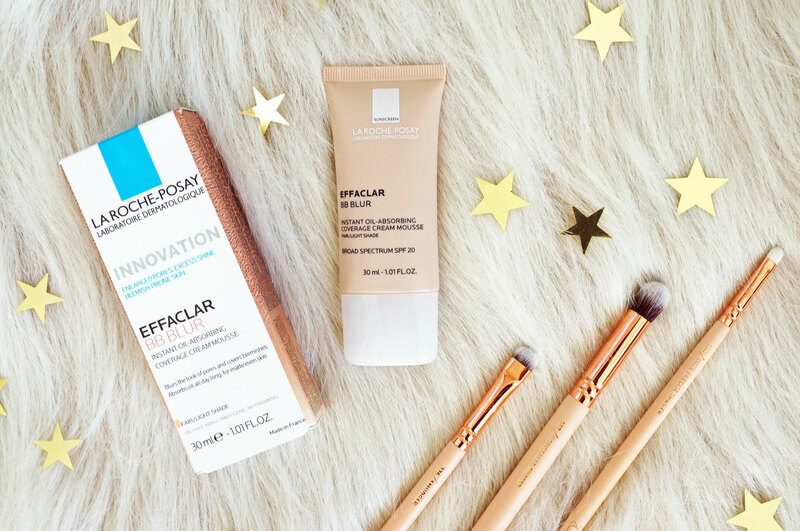 As well as controlling shine, the Effaclar BB Blur Cream also aims to blur the appearance of pores, blemishes and fine lines, and shade adapting pigments work to colour match the skin on application, whilst providing medium coverage that will erase imperfections and leave a radiant, flawless finish. I must admit, I didn’t expect this product would suit me at all, as it’s made for oily skin and I have normal to dry skin. Well surprisingly I absolutely love it! The cream itself has quite a thick texture, yet it’s light and very mousse like. When applied to the skin it’s easy to quickly rub in with fingers – perfect if you’re not a morning person like me! Once applied, it gives a beautiful lightweight matte finish, that really does have a blurring effect on pores and imperfections. (I have visible pores on my t-zone, so this anything that’s quick to apply whilst covering them up successfully is a winner in my books) I’m not usually a fan of matte finishes as they can often highlight any dryer areas, but I had no problems with this at all. 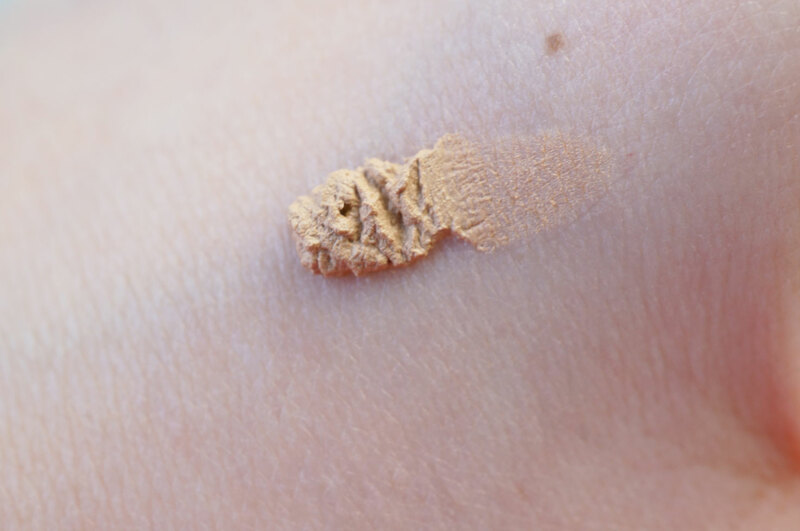 It gave a very flawless yet natural finish with light to medium coverage. I should point out that if you’re looking for something to really mask imperfections, this may not be the product for you. Otherwise I think it’s a great day-to-day BB that really does the job – I imagine it would work wonders on those with oily complexions too. 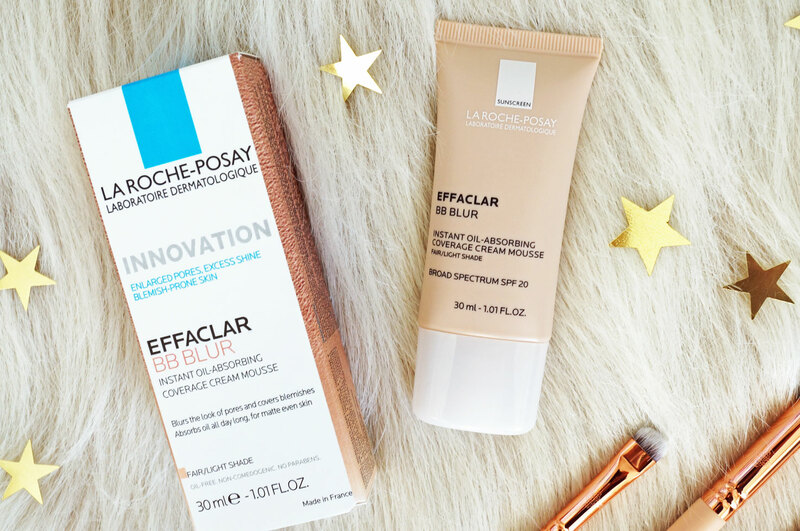 The La Roche-Posay Effaclar BB Blur Cream is available now from Escentual, and it’s currently on offer for £11.00, so be sure to snap it up while the discount is still available! Next Post Is a Kat Von D X Too Faced collaboration on the cards? I didn’t know La Roche Posay has BB creams. Really want to try it out.